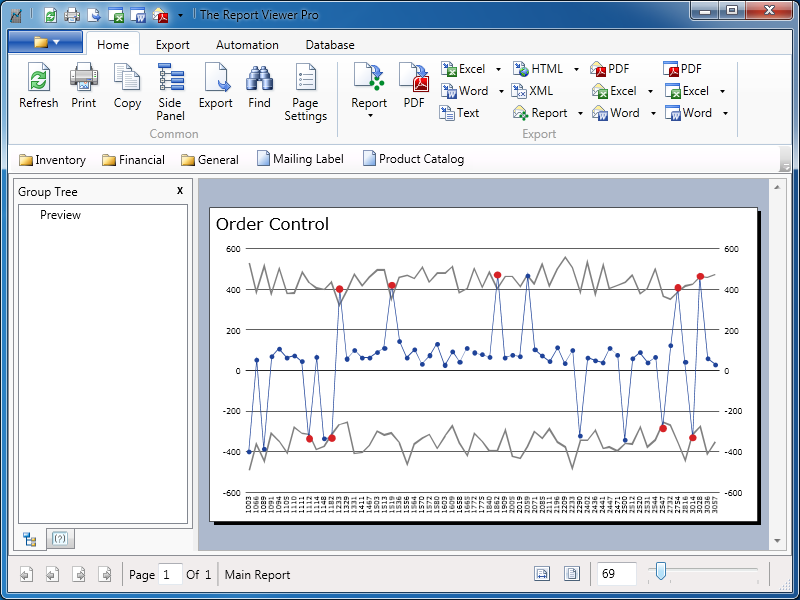 The Report Viewer provides a method for business that use SAP Crystal Reports to distribute and control access to their reports. The software provides an easily customizable interface that allows you to disable and restrict access to selected features. You can also prevent users from opening reports that are not in it's bookmark collection. In the screenshot below, you will notice ribbon toolbar that matches the Microsoft Office Suite of Applications. The top bar is a quick-access bar, the middle bar is the ribbon toolbar, and the bar below that is a bookmark bar. All three of these toolbars are customizable by using the preferences window. Note, that not all features are displays in that screen shot. 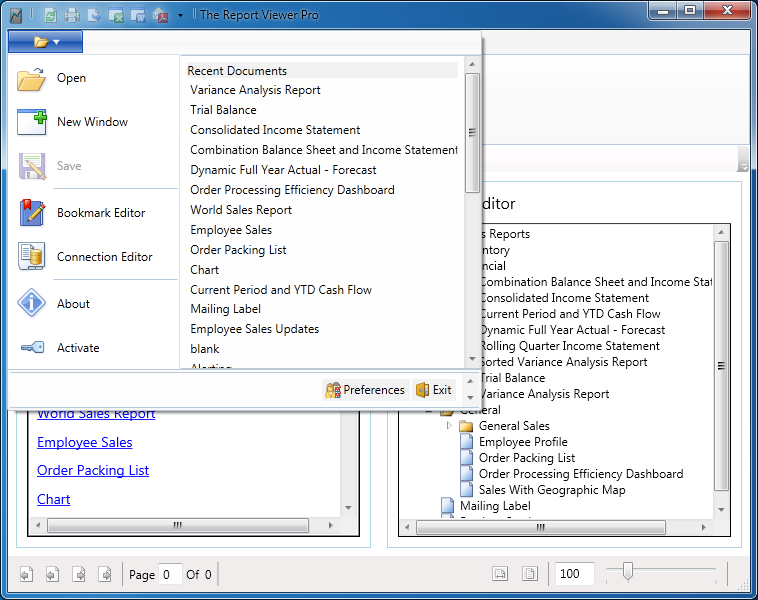 Below the bookmark bar, is the report viewing window, with the group tree and parameter panel to the left. There is also a status-bar at the bottom that includes the ability to skip pages, and zoom in and out. In the first tab of the user preferences window, you see the check boxes that allow you to enable and disable the application controls. This is used to remove unused controls, and to restrict access to unwanted features. 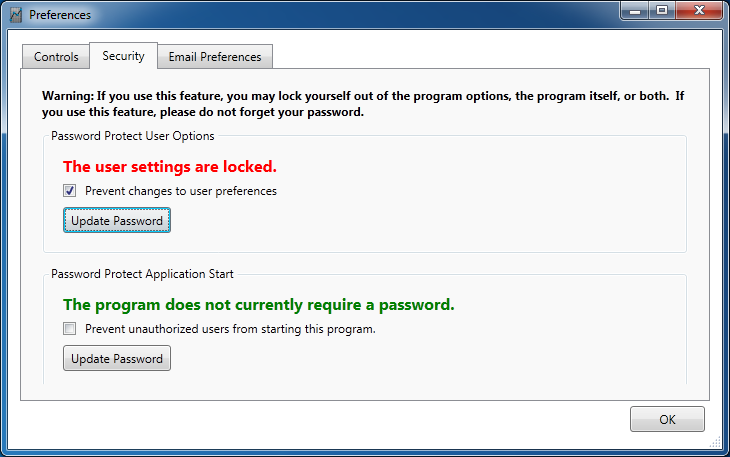 On the security tab, you have the ability to restrict access to the user preferences, or to password protect the application launch. In the application menu, we have all the expected features, along with a list of recent documents. The bookmark editor is available when you launch the applcation. You have the ability to enable and disable the controls of it. This bookmark editor is a major upgrade from previous versions. 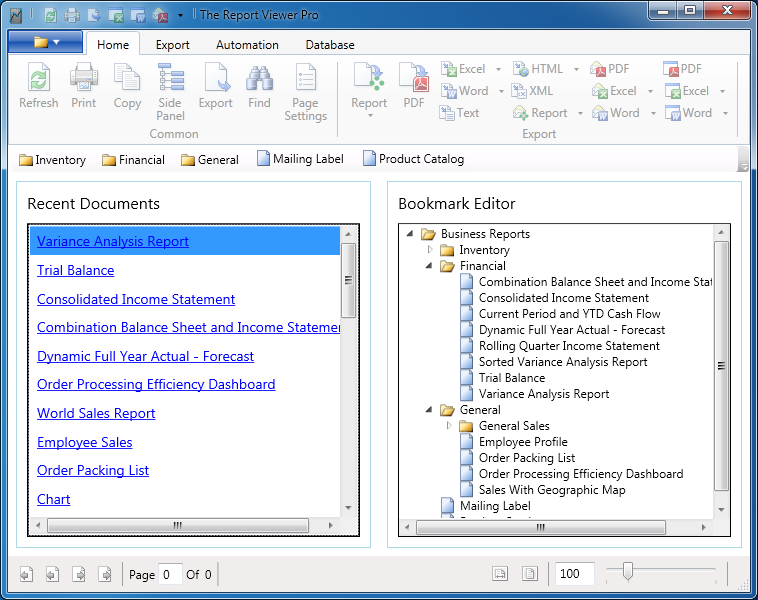 This allows you to import many reports at once, drag and drop reports between folders, and embed folders within folders. 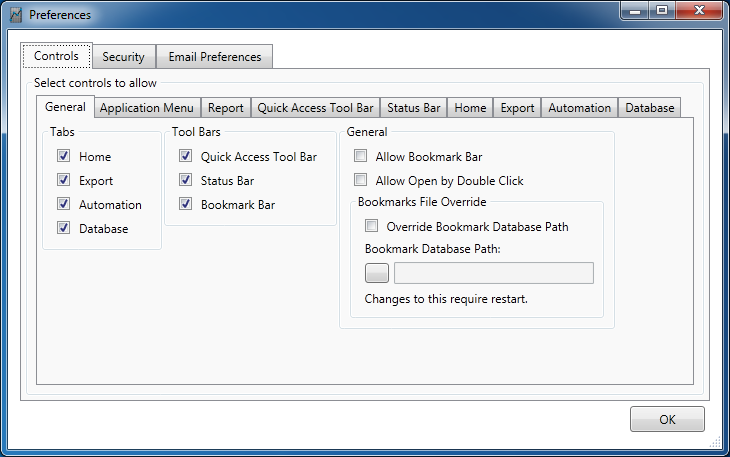 Everything added to the bookmark editor is available from the bookmark toolbar.